This home only needed a freshening up of exterior with fresh paint. 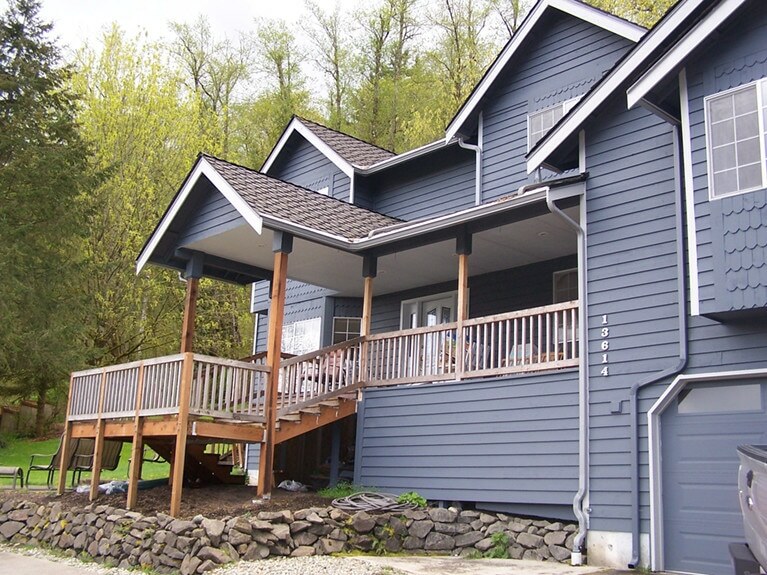 This Issaquah home had older cedar siding, with lots of exposure on the south side. As part of the prep process, we scraped, sanded off all loose paint with electric sanders, and primed using oil base primer to protect the wood from exposure before painting the home. This detailed prep ensured that the paint job would last longer, despite harsher conditions on the south side. 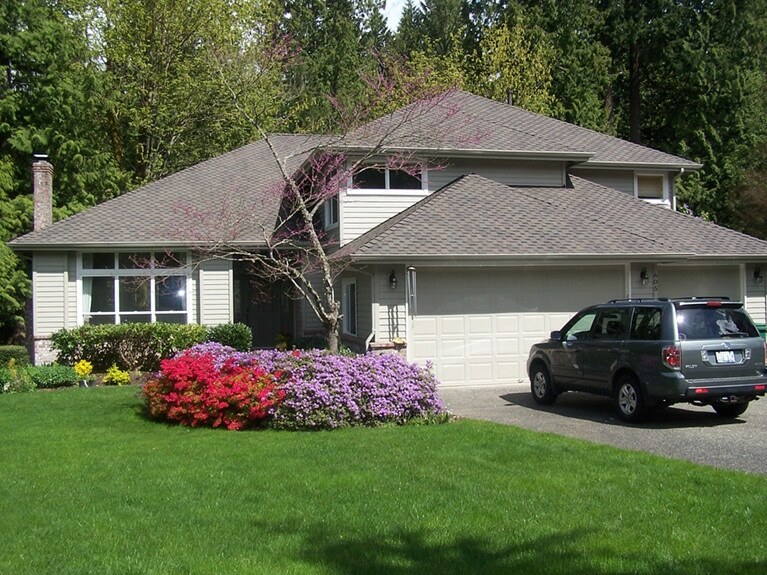 This was a home in Issaquah that hadn’t been painted in a while. Due to surrounding trees, house required a more thorough pressure washed prior to painting. The final product was stunning! The top photo shows the house AFTER it was painted by Armadillo Painting. The photo below shows the house BEFORE it was painted. This home had not been painted in a very long time, and had wood rot in several areas. Before painting, we partnered with our carpenter to have them come out and replace needed fascia and siding boards. On all existing siding, we scraped, feather sanded, and spot primed needed areas. The color chosen was very dark, so extra coverage was required for a full, even coverage. The owner was deciding between multiple trim color options, and we put up samples for her to assist her in her decision making process. The end product was stunning! The home’s previous color was more of a brown with a pink undertone that had become outdated. The owner wanted something neutral and fresh to revitalize the home.